The 19-year-old daughter of actors Johnny Depp and Vanessa Paradis, Lily-Rose Depp ttries to keep the details of her personal life secret. Recently it became known that the model has a new affair - she dates 22-year-old Timothee Chalamet, the star of the film "Call me by your name." 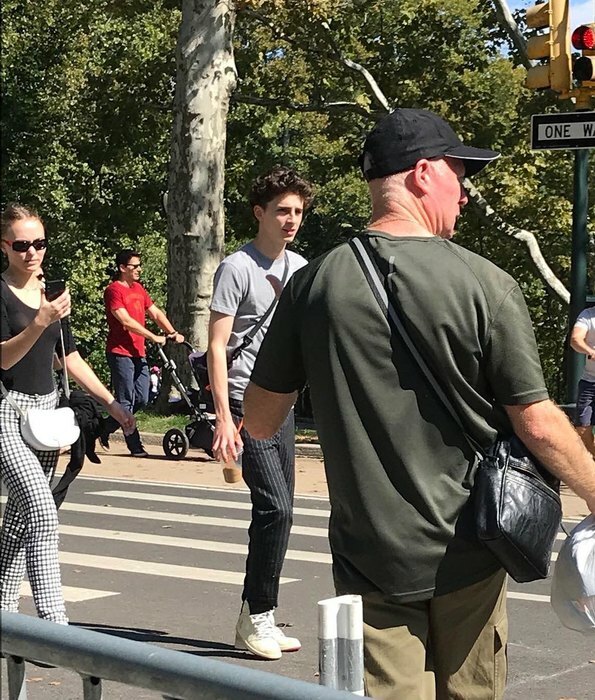 Last weekend, Lily and Timothée were spotted on a walk in New York. They held hands, embraced and behaved like a loving couple. “They looked like a real couple. We walked along the street and then stopped, he pulled her close and started kissing, ”said one of the eyewitnesses at US Weekly. The fans even took some pictures of the couple - they appeared on Chalamet's fan Instagram. One would assume that this is a working meeting - the actors together starred in the Netflix TV series “The King”, but the work on the film has long been completed, and now Timothée and Lily do not have joint projects. However, fans of Timothée Chalamet suspected that he fell in love with Lily back in January - then the couple followed each other on Instagram. Before the affair with Chalamet, Lily Rose-Depp had been dating a fashion model from England, Ash Stymest, who was eight years older than her. Parents did not approve of the choice of Lily - by the age of 25 he had already managed to marry, divorce and leave his ex-wife with a child. Timothée Chalamet himself had an affair a few years ago with the daughter of Madonna.